For Jeff Fager, Thoroughbred owner and executive producer of 60 Minutes, 1968 was an important year. For one thing, it was the year the television news magazine aired its first episode, beginning what would become a Sunday evening routine for many Americans. It was also the year Dr. Fager, a son of Rough'n Tumble trained by John Nerud, was named Horse of the Year. Jeff Fager is the son of Dr. Charles Fager, a Boston-based neurosurgeon and namesake to the horse. Fager recounted the story of that naming, as told to him by his father, as part of a keynote presentation at OwnerView's National Owners Conference in Del Mar during Breeders' Cup week. “John Nerud made a significant mark [on racing] and he probably wouldn't have made that mark if he hadn't run into my father at just the right moment because he probably wasn't going to make it through the night,” Fager began. “He'd fallen off a horse, and he hit his head pretty badly. He didn't do anything about it for a month. His wife, Charlotte, said 'We've got to get you to Boston.' They almost wouldn't let him get on the plane at LaGuardia because they said he was drunk – that's how bad off he was. “They saw my father on a Saturday afternoon, and he said 'Get him to the OR right this minute.' He opened him up and said he never saw, in all of his career, a subdural hematoma as big as the one he took out of John Nerud's brain. “My father thought it was some stable pony, which tells you something about John Nerud – he knew that horse was special. He had two horses to name that year: the other was Minnesota Mack, who was named after William McKnight, the head of Tartan Stable. 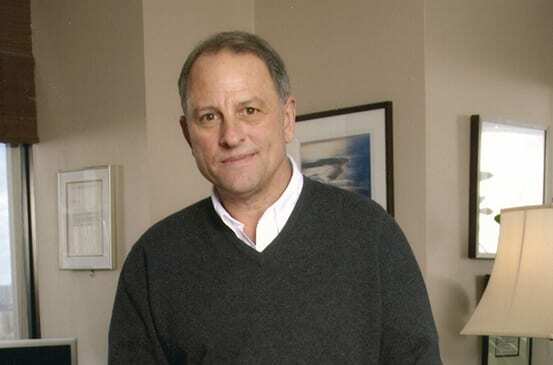 Fager worked for Tartan Farms for four summers as a teenager, on the farm and in the shed rows in New York and has remained interested in Thoroughbred racing through the course of his job as a journalist. The equine Dr. Fager accumulated earnings of over $1 million racing in handicap races, only finishing out of the money once. He became an influential sire, was inducted into the National Museum of Racing and Hall of Fame and was ranked sixth in the top 100 horses of the 20th Century by The Blood-Horse. The human Dr. Fager died in 2014 renowned in his field; he was chairman of neurosurgery at Lahey Clinic at the age of 40 and by his retirement had been on the hospital's board of trustees and the chairman of surgery. Nerud named the last horse he owned Final Chapter – a son of Thunder Gulch and Comedy of Errors. Fager said he purchased the horse from the Nerud estate and is hopeful the gelding will have a long career for Fager Stable. Fager also discussed the book he recently authored recounting the history of 60 Minutes and the news magazine's role in the modern media landscape. Naturally, the audience of current and prospective owners wanted to know how national media could boost the sport; of course, from the media's perspective, that's not really its role. This entry was posted in NL Article, People and tagged 60 Minutes, dr. fager, Horse Racing, horse racing and breeding, jeff fager, john nerud, OwnerView, Paulick Report by Natalie Voss. Bookmark the permalink.